Am I the only one who watched the show Parenthood and ached for the idea of having four children? Working with Jessica’s family for their birth journey reawakened that deep ache. As a mom of three, I have always wondered. I think any number of kids you have, you wonder about the possibility of another one. But their family in particular, the affection and comradery this couple have in their international-life-with-many-littles, is really inspiring. It reminds our hearts of why family is matters. 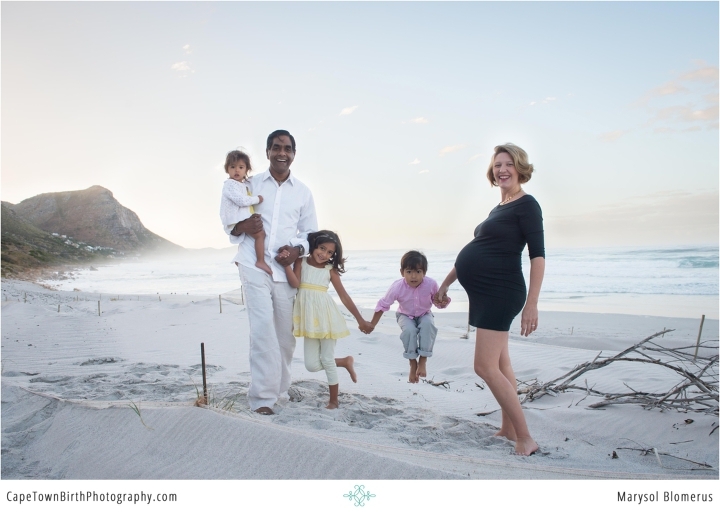 Jessica lives as an American expat in Zambia and chose Cape Town to give birth to their 3rd child and now their 4th. This is her 4th natural birth. Her 4th water birth! Yep, this is where she best prefers to birth. Please note: This was pre-2018 severe Cape Town water restrictions. I loved watching the progression of her labor as it intensifies and especially the look of shock on their faces as Viaan first appears. You would think by the fourth time, its no longer a shock. But oh no, this video and the photos show how the birth of a baby is a rush of emotion. I especially appreciated the quiet moments after he was born where it fully hits them in each their own way. Our hearts are capable of expanding in ways we didn’t know possible. Each child proves to be such a gift and flood of new love. The Meet The Family when the kids come is one of my favorites. So much going on, its a full room of joy and kids stuff and memories being made. They roll with it in a way that will leave you teary. I bet. It still does for me. Exceptional care provided by Susan Lees and Angela Wakeford of Birth Options Midwifery Team, who yes, can practice at Tokai Melomed if you are researching options. My thanks to these parents for hiring me. I still smile so fondly whenever I think of them and kinda wish they would just keep having beautiful babies. 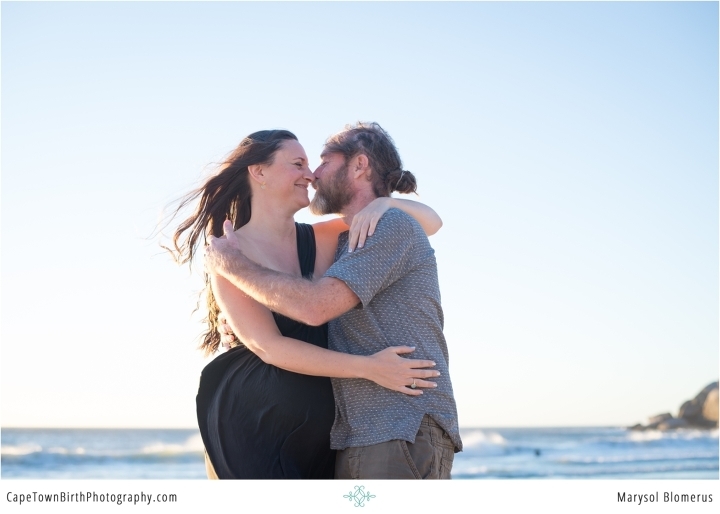 In case you missed it, here’s their maternity session and newborn session. Shared with permission as always. If you would like to discuss capturing your birth story, inquire here. Its 6 am. My clients are looking better than I do most days, let alone this early. Wait for it… with three kids under six and she’s almost full term. Being a parent of 3 kids once under 2.5, I was really impressed. We accomplished this session in less than 40 minutes. With a chill in the air and trying to beat the sun coming over that mountain, they ran and played while we pulled them in one by one for some photos. It was invigorating. Hopefully an afternoon nap was had by all (parents included). Jessica and her family are international expats who work in Zambia. They’ve chosen Cape Town for the births of their 3rd and now 4th child. They are this delightfully wild family that makes your heart long to have lots of kids. My absolute joy to work with them. I felt like we could have all hung out as families, six kids running everywhere and trying to string together a conversation. In case you haven’t noticed around here, I’m really into the value of families. They are worth capturing honestly and beautifully. PS: If you want to skip ahead after this and see their birth story and newborn session, there are your links 😉 Thank me later. Leah was due today. More than a month ago, she was born early for necessary and life-saving reasons. Born on her mother’s birthday (what a great gift, right?!? ), her tiny wide eyed life began at just 1.9 kg (just over 4 pounds). Her birth was not what they expected and the weeks to following being NICU parents were a difficult transition to parenthood. We celebrate that she is home and healthy. In this birth film, you feel the nerves. They are palpable. You witness a dad’s elation and pride. My sincerest thanks to Leah’s parents for choosing to hire me and trust me with their story. You will notice her video is 99.9% film. There’s only one photo in the whole film. That’s done by design as Leah’s parents hired me for just a film, not as a photographer. I got several photos as well because I couldn’t help myself (scroll through) but they wanted more than anything her birth film. I was able to do that for them still in accordance with my Code of Conduct. If you would like your birth story documented, here’s where to contact me. If you missed it, here’s Roxanne’s maternity session with Leah. My thanks to the professional and welcoming staff at Panorama Mediclinic and Dr Esterhuizen. Birth story shared as always, with family permission. They didn’t hire a wedding photographer. But when Lois wanted to hire me for her birth she told me she was so moved by my photos that this became something very important to capture. I was dumbfounded. Normally people who hire me have hired other photographers for big events. But more and more, people for whom photography isn’t as high a priority, birth documentation is becoming important. There is something about the true once in a lifetime emotions that is compelling. So when I asked her if she still wanted to take advantage of her Complimentary Mini-Maternity session (that’s included in all my birth packages), she was game but said it was something she never thought she would do. She wanted something that felt natural and authentic to their love. I knew just what she was talking about. Enjoy these sun-kissed moments taken in less than half an hour! Next time I see them, it will be time to meet their baby. My thanks to Gabrielle Li for her on-location assistance.